A dozen or so years ago I was thrilled to find myself as a professional in the service of the first Jewish Federation in North America to provide a funding grant for a program in Israel that included both Jewish and Arab children. Unfortunately, but not surprisingly, the decision of the Jewish Federation of San Francisco to offer financial assistance to a Jerusalem based pre-school program that accepted both, Jewish and Palestinian children touched a nerve in a few people. I myself fielded a phone call from a local Holocaust survivor who to this day still writes and pays to have anti-Arab diatribes published in Jewish newspapers across the U.S.: “Why is the Federation giving my money to the enemy of the Jewish people?” he demanded. “We’re not giving money to any enemy of the Jewish people. We’re helping to fund a pre-school program that includes both Jewish and non-Jewish children” I responded. The fact that Jewish-money was being earmarked to provide any kind of service to Arab children left my caller and other angry Jewish tribalists unconvinced of what many of us viewed as a well intended effort to build benign peace bridges between communities. Since then, the government of Israel has itself welcomed and encouraged other Jewish Federations and philanthropists to help with funding similar programs that create opportunities for Israeli and Palestinian children to get to know one another. One such program is the “Harvard College Israel Trek” which is co-sponsored by the Combined Jewish Philanthropies (CJP) of Boston and Harvard Hillel. The Trek, as it is called, is planned and lead by a number of Jewish students, 4 of whom this year are former members of the Israel Defense Forces (IDF) as well as other knowledgeable campus Jewish student leaders. The leadership group are adept at giving Israel’s side of the story in the P.R. wars and actively work to counter the efforts of other students and academics on campus who promote the Boycott, Divestment and Sanctions (BDS) campaign against the Jewish State. The purpose of the Trek is to inform and enlighten 50 non-Jewish Harvard students: What does Israel mean to the Jewish people? What has it accomplished in just 66 years? Trek participants are afforded an opportunity to meet with Israelis in all walks of life. The trip is carefully planned to present both, the best of Israel as well as the many challenges confronting this multi-cultural society that is flourishing in a corner of the world that is hostile to its very existence and remains estranged from appreciating how a democracy functions. In addition to meeting with members of the Knesset in Jerusalem, Trek students recently met with officials of the Palestinian Authority at the Mukataa, the P.A. government offices in Ramallah. While at the Mukatta the Trek group took a few moments to visit the grave of Yasser Arafat where a group photo was taken. The visit to Arafat’s grave was neither planned or intended to honor the memory of the founder of the Palestinian Authority, it was as matter-of-fact sight-seeing event suggested by the P.A. officials they were meeting with. 50 Harvard Trek participants pose with their PA hosts at the tomb of Yassir Arafat. As is apt to happen with sensational pictures and carefully edited stories, the picture of the Trek participants at Arafat’s grave went viral on social media without any information about the nature and purpose of the Trek program other than the fact that it was co-sponsored by the CJF of Boston and Harvard Hillel. Trolls and reactionary conservative supporters of Israel who need to believe that most Arabs are evil terrorists committed to killing Jews, smelled blood and went in for the kill. How dare CJF and Harvard Hillel honor the memory of Yasser Arafat! No one at CJF or Harvard Hillel approved of or is happy with the group picture at Arafat’s grave. After all, for most Jews and many Gentiles, Arafat will be remembered as one of the most heinous terrorists in modern history. We Jews and loyal friends of Israel cannot deny that most Palestinians have a very different take on Arafat’s legacy. In the cause of Palestinian nationalism, the man you and I consider a murderer is viewed as a hero and the founding father of their nation. Shall we tell millions of Palestinians that until such time as their share our perspective on Arafat we can’t speak to them or try to live together in peace? The Trek mission to Israel was no more about paying tribute Yasser Arafat than a tourist visiting the grave of any other famous historical figure. The fact that these 5o students had their picture taken at Arafat’s grave was certainly less remarkable and intentional than say, President Ronald Reagan placing a wreath at Bitburg Cemetery in Germany where 49 Nazis SS officers are buried. Good or bad, Yasser Arafat is a fact of history in the Middle East. The much-ado, over the top reaction to the Trek photo serves as a reminder of the kind of militant, angry, intolerant tribalism that exists in the Jewish community. Jewish hostility towards programs like the Trek and to the two-state solution many of us believe is essential to creating a permanent peace between Israel and Palestinians serve to remind us that even among the victims of bigotry and genocide are people who are not immune from profiling and designating all members of a group as untrustworthy and dangerous. As we struggle to imagine the possibility of Israel existing alongside a State of Palestine, we might want to remember that if guilt by historical association is enough reason to reject a person or group, Israel had better give back the billions of dollars it has received over the decades from the German people not to mention the 4 out of 5 cars and trucks in Israel that were made in the homeland of the Third Reich. Anyone who studies Torah knows all to well that God has high hopes for the Jewish people. Those Divine aspirations certainly don’t include playing the role of a bitter, unforgiving, militant victim. Yes, anti-Semitism is alive and well all over the world and in the Arab world in particular. That said, the State of Israel with its remarkable flourishing democracy, powerful military, renown universities and cutting edge technology industries is a testament to Jewish survival and our victory over those who have tried to destroy us time and again. The Jewish people have earned the right to be confident, humble victors who have much to teach the world about compassion, forgiveness, equality and justice. CJF BostonHarvard HillelHarvard TrekIsraelJewish survivalJews as victimsJews as victorsvictim or victor? Previous Previous post: The Next Time You’re Feeling Sad or Angry, Look at These Pics! Next Next post: Have human sacrifices really been outlawed in America? I think the photo-op at Arafat’s grave was inappropriate and that you’ve been used by the PA officials as pawns in the PR war. 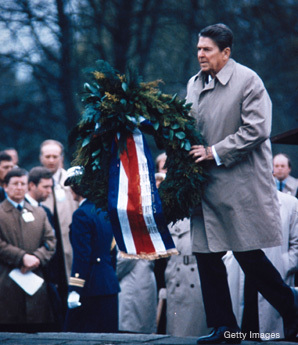 The comparison with Ronald Reagan is rather poor – I don’t think he laid the flowers on the graves of SS officers. And labelling your critics as trolls and die-hard conservatives” is also not very stylish. So, having a group picture at Hitler’s grave (if there was one) would be ok by you? I am not militant or angry – I am scared because too many people don’t think visiting Arafat’s grave is wrong. It is this type of bending-backward to be PC that will break the back of the Jewish People and help to destroy Israel. did they visited any grave of Jewish people during this trip? Ah yes, the ol’ “show me moral equivalence” and I’ll feel better nonsense. You missed the point Sheaton.